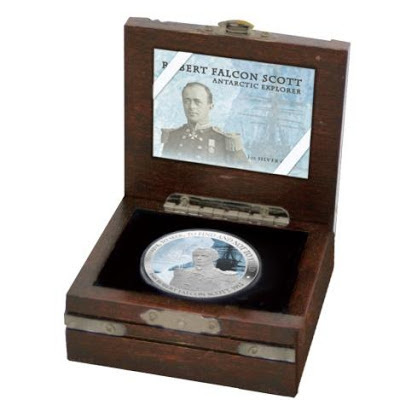 This striking 1oz Silver coin commemorates the life and achievements of explorer and Royal Navy officer Captain Robert Falcon Scott. 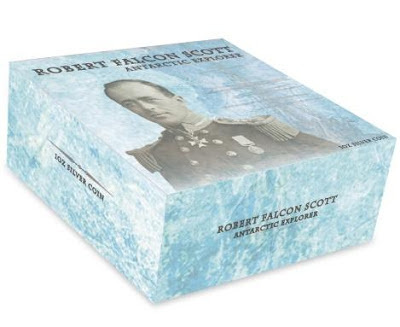 Scott led two expeditions to the Antarctic: the Discovery Expedition (1901–04) and the ill-fated Terra Nova Expedition (1910–13). Scotts status as a British hero has at times been called into question over the past century, however, his personal bravery and stoicism have won him a place in history. The modern day Scott Base in Antarctica was named in his honour. This depicts an engraved portrait of Captain Robert Falcon Scott set against an image of his ship, the Terra Nova in the icy waters of the Antarctic. On the left of the coin is a final excerpt from Scott’s journal written on his ill fated Terra Nova Expedition to the South Pole. 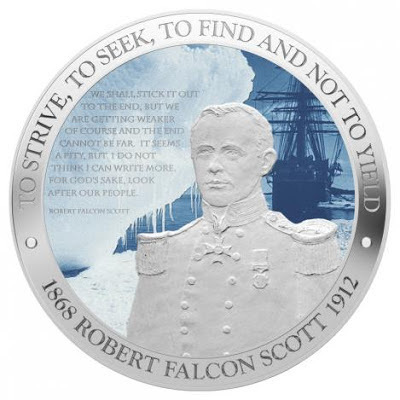 The coins border is engraved with a dedication to the bravery of Captain Scott in the words ‘to strive, to seek, to find and not to yield’ along with the years of Scott’s birth and death. This features the Raphael Maklouf effigy of Her Majesty Queen Elizabeth II. The coin is issued by New Zealand Mint as legal tender, under the authority of Niue Island. This beautiful coin comes packaged in a wooden collector box, fashioned in the shape of a sea chest.